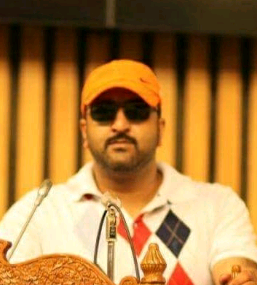 After alleging the ruling People's Democratic Party (PDP) to be responsible for worsening security situation in Jammu and Kashmir (J&K), the Bharatiya Janata Party (BJP) left the ruling coalition. BJP, which had allied with PDP in 2015 to rule, had 25 lawmakers in the J&K assembly, while the PDP had 28 -- which was more than the majority mark of 45. Senior BJP leader Ram Madhav told reporters in New Delhi recently that the alliance had became "untenable." Hence, Mehbooba Mufti's tenure as chief minister came to an abrupt end with a call from ex-Governor NN Vohra, who informed her that the BJP had pulled out of its alliance with PDP. 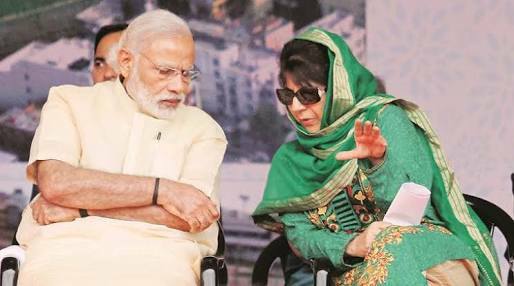 Mufti listened to the news in silence, and after a pause said there was no need for talks with BJP and submitted her resignation. Soon thereafter, Ram Madhav made his announcement in Delhi, ending the uneasy, often fractious alliance between BJP and PDP, setting the stage for another round of Governor's rule for the valley. PDP till thrn was perceived as the advocate of reconciliation. Direct rule by the Central government gave BJP a free hand to control the state ahead of a general election that may probably be held in May next year. Addressing a press conference in Srinagar, Mufti said, "I have resigned from chief ministership, shook hands with BJP for the sake of serving the people. It took us several months to form a mutual agenda with BJP." She also maintained that the Kashmir issue could only be resolved through talks. She stressed the need for talks with Pakistan and the Kashmiri people for the resolution of the decades-long conflict. She said the BJP had betrayed the agenda of the alliance by pulling out of it. "PDP's agenda for the state was the one for boosting reconciliation through the alliance, BJP betrayed the same," she stated. According to Mufti, muscular policy in a state like J&K, or a policy backed by force, cannot succeed. "Peace and reconciliation is the only way forward," she noted, even as the state cwme under the Governor's rule for the seventh time over the last four decades, and fourth time after the state was placed under Central rule during NN Vohra's tenure as Governor. Vohra, a former civil servant, was Governor of J&K from June 25, 2008 to August 23, 2018. This BJP government move has been widely criticized. Several leaders expressed serious concern over the imposition of Governor's rule. The people of the state felt that this would further complicate matters. The view is strong, a lasting and durable solution can only be delivered by taking into account the political will of Kashmiris in accordance with the UN Security Council resolutions or a UN mandated dialogue between Pakistan, India and the Kashmiris. Some even acknowledged, Kashmir has been used as "an experimental table" for too long, last many decades and the Kashmir crisis just suggests "comprehensive collapse" of India's political leadership. The Office of the United Nations High Commissioner for Human Rights (OHCHR) Report on Kashmir is first ever report of UN on gross violations of human rights, highlighted and debated in Indian as well as international media. India rejected the report in which the Indian government was held responsible for using excessive force to kill and wound civilians in Kashmir since 2016. The UN has called for international inquiry into accusations of human rights violations. The unresolved status of Kashmir issue is a sombre reminder to the world that Kashmiri people are deprived of their fundamental rights at the hands of the so-called biggest democracy of the world. India must understand that, despite militarily presence, it failed to control Kashmir. A muscle-power approach will make things even worse. What is needed is a proper dialogue to bring peace in Kashmir. I totally agree that Peace and Reconciliation are the need of the hour. I believe that the first ever step need to be taken by the Indian government is to Repeal AFSPA and withdraw army from civil places. But I am worried that interference of UN may open up floodgates for US.